Details for this event are being finalized, but a tentative schedule is listed below. 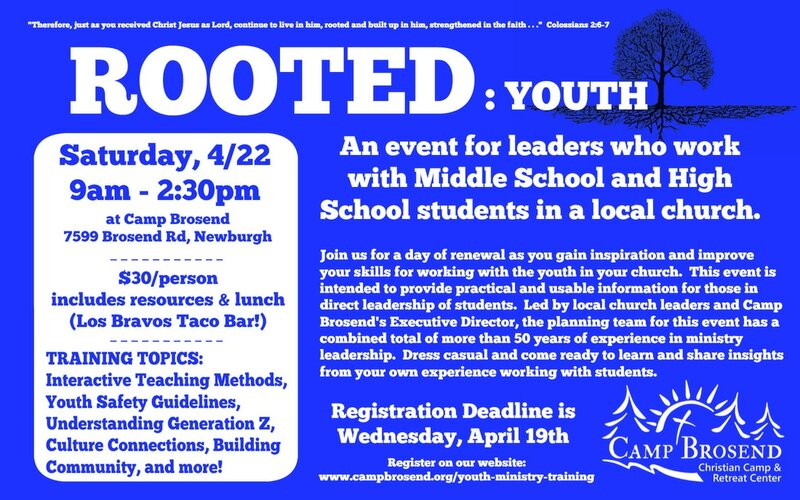 We hope to have a variety of ages, experience levels, and denominations represented by the attendees and our goal is to offer practical information and encouragement to those working directly with students in the church. The sessions will be interactive and we plan to provide options that help participants choose what they need to gain from the day. We hope you'll join us! Please complete the following information. A valid email address is required - your invoice will be sent by email and payment is due upon receipt of invoice. Payment can be made securely with a credit card through Paypal or by mailing a check.